For more than 500 years Meriden, near Coventry has marked the traditional centre of England. 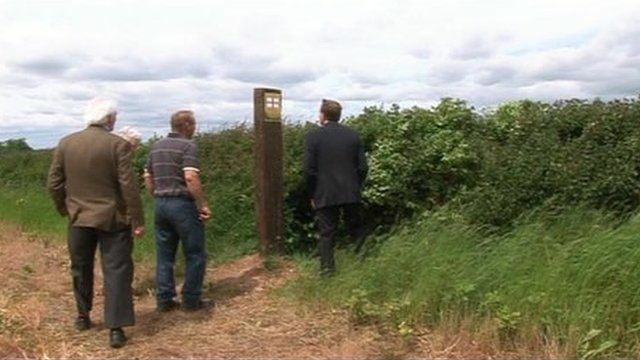 However, the Ordnance Survey has calculated the exact geographical centre to be in a field at Lindley Hall Farm, in Fenny Drayton, Leicestershire. Owner of the farm Stephen Farmer now wants to turn it into a tourist attraction. Steve Wegerif from the Hinckley and Bosworth Tourism Partnership and Councillor David Bill said it was fantastic for the centre to be officially recognised and have it marked in the county.